If you’re looking for exotic carbon fiber and titanium jewelry for your Italian exotic, you can’t do much better than NCR. CRG, Speedymoto, Termignoni, OZ Racing, Marchesini? For peasants. 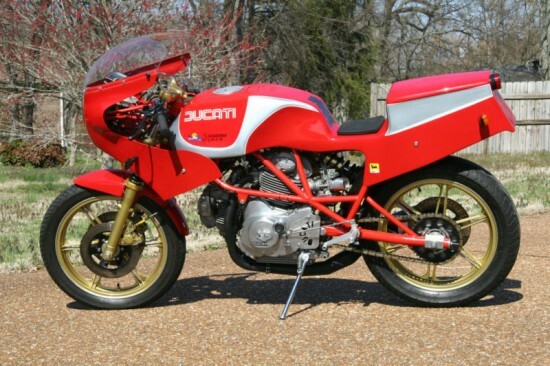 NCR is the original: they were founded in 1967 and developed Mike Hailwood’s Isle of Mann Ducati racebike. You know? The machine on this website’s masthead? They’re still around, making if-you-have-to-ask-you-can’t-afford-it, Ducati-powered complete machines, like the Desmosedici-powered M16 that is actually lighter than the donor bike. Thanks for sticking with me so far. Finally, on to this motorcycle. It is a Scuderia N.C.R. 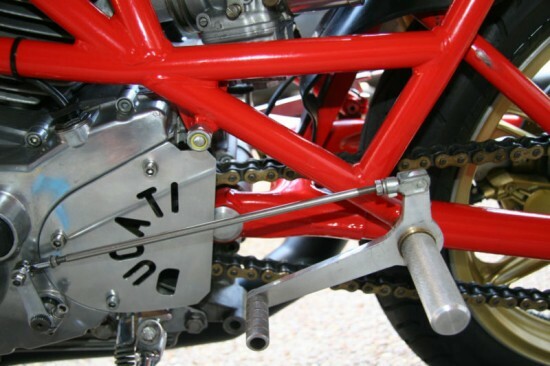 T. T F2 600 Tony Rutter Replica Panthilever SuperPantah with Rino Caracchi type frame. Title says 1981, but may be 82 or 83. It’s one of about ten frames built, and I believe the only one ever built from a ‘road kit’. The condition is excellent, and the build quality is superb. The mechanical condition I’d rate as a 10 out of 10, and the cosmetics about a 9.5 out of 10. I’ve ridden the bike just once. It seems to run fine. The last full service, including belts was completed in 2005. There is no mileage counter, so the actual mileage is unknown. But looking at all the wear indicators, I’d suspect the actual mileage to be extremely low. The only minor flaw is a small dent in the NCR stamped exhaust system, that may have been there since new, or may have been done intentionally. It is also missing the rear view mirror, but the mounting hardware is still there. Make no mistake, this is the only chance you will ever have to own a genuine Scuderia N.C.R. road bike. Do not confuse this bike with the many replicas and look-a-likes. 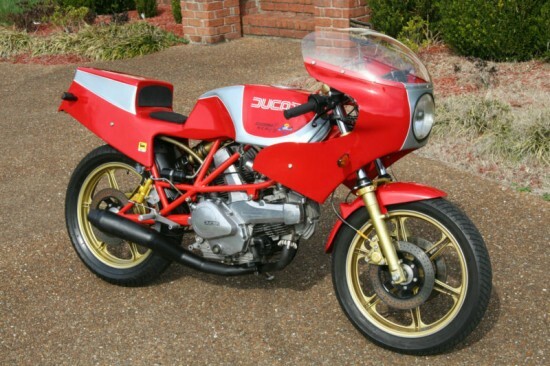 Often bikes are described as N.C.R.s when they are in fact Ducatis with body kits. U.S title. The frame number and title reflects the original donor bike. 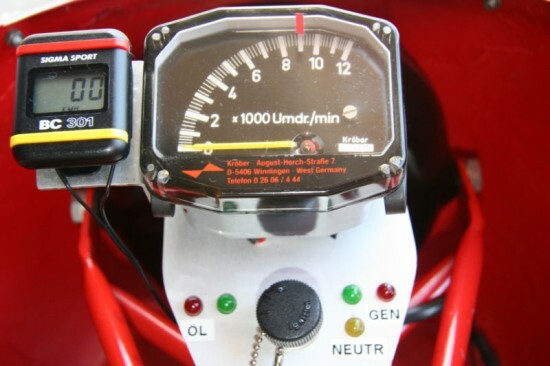 This makes importing, registering and insuring the bike much easier. Expert crating is available for overseas customers. Viewing welcomed with pick up service from Nashville airport. I have many detailed photographs available for those who are seriously interested. I’m open to offers. I really have no idea what a fair price for this machine might be: it’s nearly a one-of-a-kind bike. The Buy It Now price is just under $50,000 so if you’ve got an 80’s exotica-sized hole in your collection and a big fat income refund check headed your way, this might just be the ticket.